Northeastern has established several competitive scholarship programs to reward outstanding academic achievement. To be considered for one or more of these prestigious awards, you must apply for undergraduate admission to Northeastern no later than the regular decision deadline of January 1. Only fall freshman applicants may be considered for most of these scholarships. Students are not required to complete the financial aid applications to be considered for a merit-based scholarship. Many scholarships require the signing of a contract of understanding, which is included with the offer of financial assistance. Most full tuition scholarships (including the Torch, BPHS, and Balfour Scholarships) require a minimum of 100 hours of community service each year. The Center of Community Service at Northeastern provides students with the tools and resources necessary to achieve success in this program. Students who are in the top 10-15% of our applicant pool are considered for competitive merit awards, including Dean’s, Connections, and International Scholarships. These scholarship awards range from $10,000-$25,000 for the first year. In future years, amounts are awarded on a per semester basis, ranging from $5,000-$12,500 per full in-class semester. Students who are admitted to Northeastern and are recognized as National Merit Finalists* or National Hispanic Recognition Program Scholars** will receive a competitive merit-based award and may also be eligible for financial aid. 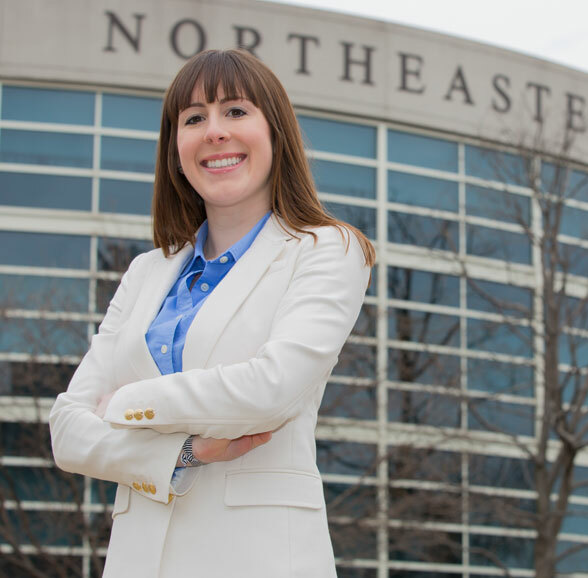 Northeastern National Scholarships replace any Honors, Dean’s, Connections, Sophomore Achievement, or International Scholars awards and may result in a change to previously awarded Northeastern University Grant funds. *To be eligible for these Northeastern scholarships, National Merit Finalists must be must be U.S. citizens or documented permanent residents, admitted to Northeastern and should designate Northeastern University as your college choice to the National Merit Scholarship Corporation (NMSC) by the priority deadline of April 4, 2019. We will award our first group of scholarships in early March to students who were admitted Early Action or Early Decision. **National Hispanic Recognition Program (NHRP) Scholarship recipients must submit NHRP Scholar documentation to Admissions by email (nationalscholar@northeastern.edu) or by uploading the documentation through the Application Status Check by the priority deadline of April 4, 2019. Continuing a century-old commitment to educational access, the Torch Scholars Program is a bold and innovative scholarship initiative awarded to students who have overcome exceptional odds and who demonstrate the potential to excel academically. The Program includes a Summer Immersion Program prior to freshman year. Torch Scholars receive full tuition, fees, and room and board as well as significant personal and academic support. Students must be nominated by an education professional, such as a guidance counselor. The Harry Doehla Memorial Scholarship is available to deserving, full-time Undergraduate Day students from Fitchburg High School (Fitchburg, Massachusetts) and Nashua High School (Nashua, New Hampshire). To apply for the Scholarships of the Month, complete the Student Financial Services Endowed Scholarship Application available through your myNortheastern. Once you have logged in to your myNortheastern, choose “Services & Links” and select “Scholarship Application” under “Student Financial Services.” If you have previously submitted an Endowed Scholarship Application, you do not need to submit an additional application for Scholarship of the Month consideration. 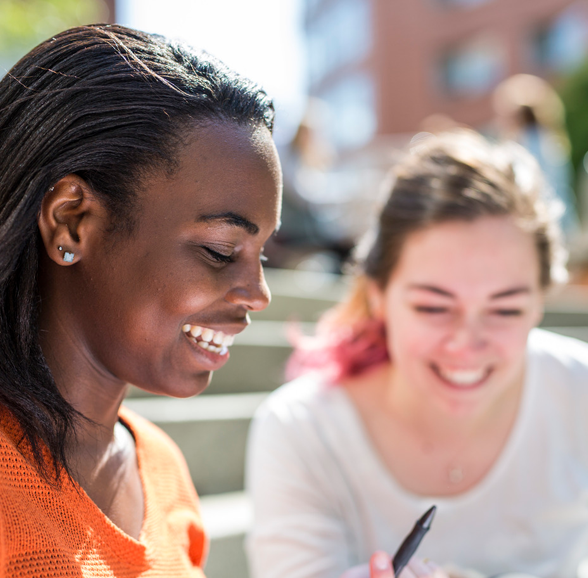 Northeastern has partnered with RaiseMe to offer U.S. high school students the opportunity to earn micro-scholarships that recognize their academic achievements and outstanding accomplishments. Students can earn up to $20,000 in micro-scholarships each year, which will be incorporated in their Northeastern University financial aid award. Eligibility for micro-scholarships is determined at the time of admission to Northeastern University. You must complete and submit your RaiseMe portfolio by our earning deadline of November 1 of your senior year. Micro-scholarships earned through RaiseMe represent a minimum of grant or scholarship aid that students will receive from Northeastern, provided they apply, are admitted, and enroll. Students may be eligible for additional aid based on their formal application for admission and financial aid application materials. If you have been awarded a higher amount of institutional grant and/or merit scholarship funding from Northeastern University, this grant/scholarship supersedes your earnings on RaiseMe and is not in addition to those earnings. Please note, for students admitted to The Fall N.U.in Program, the full, annual amount of your earnings on RaiseMe will be applied to your spring semester when you transition to the Boston campus and will be awarded on a per-term basis thereafter provided you meet the below eligibility criteria. Maintain a cumulative GPA of at least 3.00. Your GPA will be reviewed at the end of the spring semester. If your GPA falls below 3.00, you are allowed one academic semester of probation for the first in-class semester of the following academic year to regain eligibility. During this semester you will receive your RaiseMe scholarship. If you fail to attain the required GPA after the probationary semester, the scholarship will be canceled. You may regain the scholarship by bringing your cumulative GPA above 3.00; however, you will not receive any future probationary periods. Students may be eligible for a variety of aid programs independent of Northeastern University and the federal/state aid process. A number of organizations, both locally and nationally, have funds available for students who meet their criteria. Students are encouraged to pursue outside scholarship opportunities to help with the cost of their education. View additional information, including outside scholarship opportunities and resources. The Gates Millennium Scholars (GMS) Program provides financial support for minority students who demonstrate financial need and academic success. Northeastern University, Student Financial Services (SFS) participates in the GMS Program in support of our students and in accordance with the policies and procedures set forth by the Gates Millennium Scholars Program. GMS Program certifications are issued by Student Financial Services on a term-by-term basis. Please ensure that your GMS certification is submitted through the GMS portal and all supporting documentation for those costs are provided to SFS by the certification deadline date listed below. If supporting documentation for your certification is submitted to our office after the certification deadline date, corrections will be reviewed after the correction deadline referenced below. Please note that the GMS Program does not permit certification for summer co-op expenses. Additionally, the Gates Millennium Scholars Program does not accept corrections for the summer term expenses. If you will be requesting coverage for expenses for in-class enrollment during the summer, please ensure that your initial certification for the term accurately reflects your anticipated charges and all documentation has been submitted to SFS prior to the summer certification deadline date. Your GMS funding will be applied towards any outstanding charges on your student account first. In the event there is a credit balance on your account, you may request a refund through your myNortheastern portal. Any refund for which you are eligible will be released upon receipt of funds from GMS. Please note, the administration reserves the right to make changes to this policy at any time without notice.